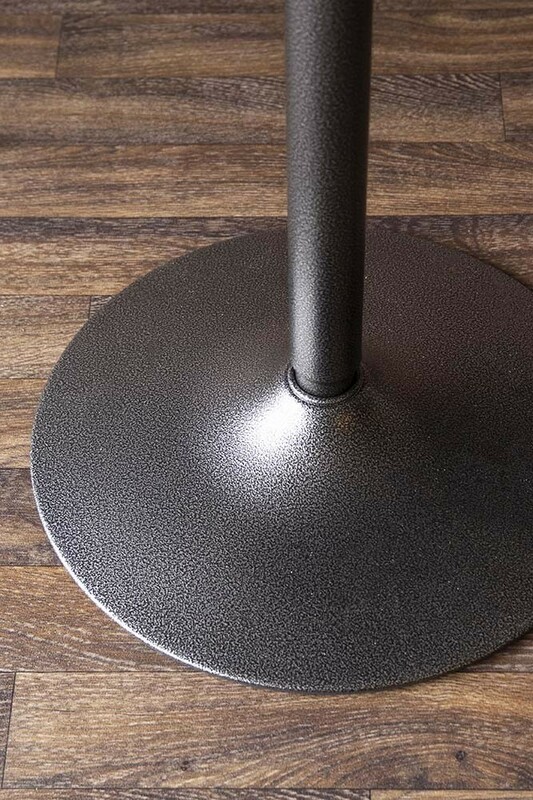 This beautiful breakfast / bar table reminds us of the ones you would see in a New York Bar. A thing of beauty (and function!) 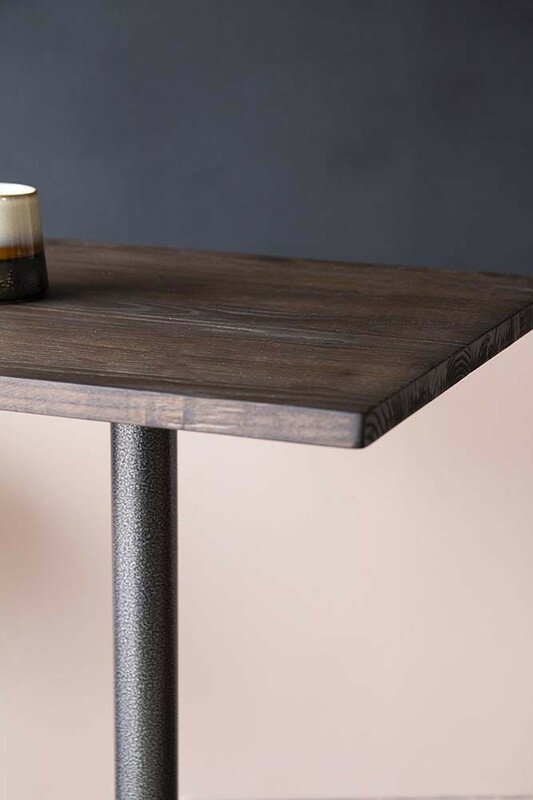 the Tall Elm Wood Breakfast Table features a dark wood top with a strong and sturdy black metal base which will look slick and stylish in any home … no matter what your décor style is. A two-seater bar height table, pair the Tall Elm Wood Breakfast Table with your favourite stylish bar stools and dine a deluxe with your partner, friends and loved ones. 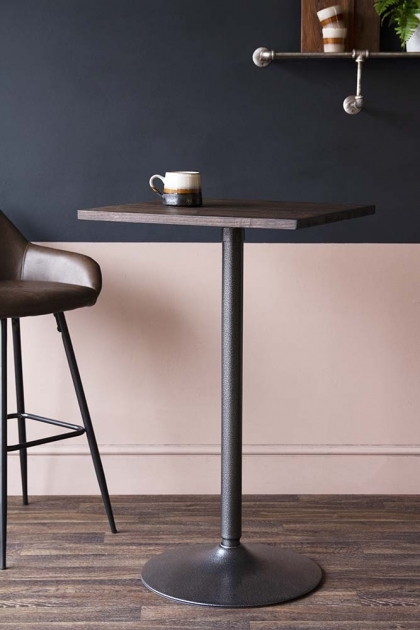 A great counter top bar table that will work particularly well in small kitchen spaces this modern table is incredibly useful and beautiful at the same time. What’s not to love? !